​Welcome to an old church with a new approach. Trinity has been around for 150 years, which means we’ve gotten very good at change. Norwegian is out. English is in. So are Amharic and Tigrinya, the native languages of our Ethiopian and Eritrean members. We are old and young; gay and straight; black, brown and white; fifth generation and first generation immigrants. We share ministry with other Lutheran institutions and neighboring mosques. We embrace our traditions while striving to practice radical hospitality. Are you ready to grow in a Christ-centered, multicultural faith community? ​We’re ready to welcome you. Worship at Trinity is rooted in traditional Lutheran worship while incorporating new styles and forms. 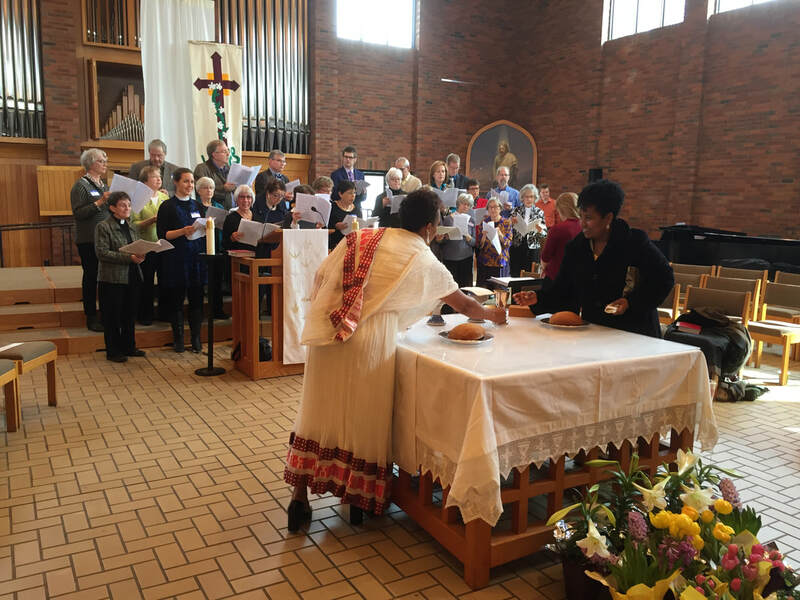 Trinity's liturgy embraces multicultural worship music, with parts of the liturgy delivered in English, Amharic, and Tigrigna. All are welcome! Please note! We worship at Augsburg's Hoversten Chapel at 625 22nd off of Riverside Ave, which is a different location from our offices. 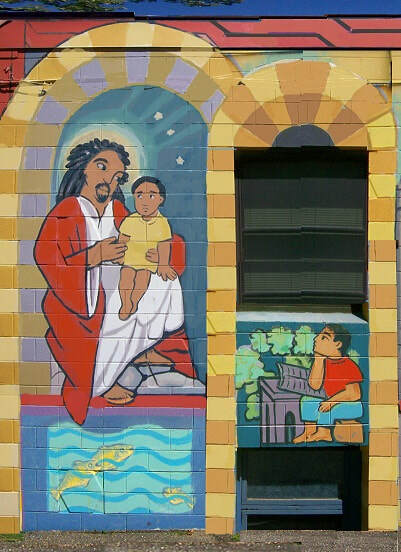 As Christ’s presence in Cedar-Riverside, Trinity walks alongside neighborhood residents, helping where appropriate. For the last 40 years we have participated in the life of the community without a church building. Cedar-Riverside is bordered by I-94 to the south, the Mississippi River to the northeast, and I-35W on the west. It has long been a popular first stop for new immigrants, most recently from East Africa, Asia, and Mexico.